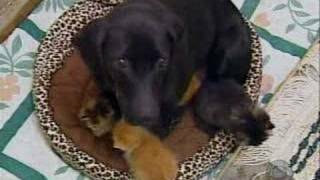 Burlington, Iowa Humane Society — Extraordinary Mothers Video. Talk about heartwarming. Here’s another just wonderful Inter-Species Video. Can’t get too much fuzzier than this lovely tail of a dog who mothers kittens. Enjoy!